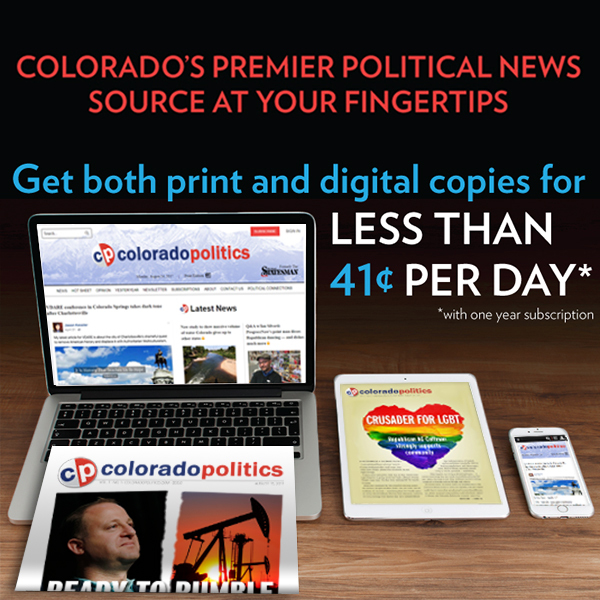 Neil Westergaard -- the former editor of the Denver Post and and the Denver Business Journal and one of Colorado's best known journalists -- has begun contributing a regular column to Colorado Politics on Denver civic affairs. A campaign pitch during a candidate forum recently in LoDo captured perfectly the current sentiment of a lot of Denverites, I think. It came from Jonathan Woodley, who is challenging Albus Brooks, the popular two-term incumbent in the city’s District 9 council race, along with two others. Woodley, with a not-so-subtle reference to Brooks, remarked that city officials have been talking about housing, homelessness and transportation/congestion for at least four election cycles, but nothing seems to change. I saw a lot of heads nodding around the room and it’s true; I can’t remember when these three problems weren’t the top issues in city elections. The response always involves a lot of hand-wringing and re-prioritizing and re-focusing and other squishy verb forms that give the illusion that something is being done about these problems, without anything concrete happening. Studies are announced, followed by more studies. Even when actual new programs are launched and show some promise, they often aren’t sustained, or the programs aren’t funded well enough to keep them going or something else gets in the way. The cost of housing and homelessness are driven by factors largely out of the city’s control. They are complicated and difficult problems. But traffic, it seems to me, shouldn’t be that hard to figure out. All the candidates are talking about over-crowded streets because, face it, getting around Denver is a challenge. The current administration’s response to this problem, which is supported by most members of the current city council, is to push people onto bicycles and mass transit and discourage people from driving by not building new roads or timing traffic lights or restricting parking. So, the city wants to create a new city Department of Transportation to “redirect the focus” of the Department of Public Works, which historically has focused on streets and cars, more toward bicycles and transit. The city has limited ability to move the needle on either of these transportation modalities, in my opinion. No. 1, transit already is run by the Regional Transportation District, which levies a sales tax to help fund operations. Unless the city is prepared to install its own transit lines and fund the operations long-term – which would require a substantial city tax increase on top of RTD’s— it’s doubtful we’re going to see trolley cars or other conveyances run by the city taking substantial numbers of cars off the roads and improving congestion that way. Likewise, with bicycles. The city has spent a lot of money installing various configurations of bike lanes in the city, from simple lines on the street to protected bike lanes physically separated from traffic. It has not resulted in large numbers of new bicyclists, certainly not enough to make a dent in traffic congestion. It’s an illusion, like many of the city’s responses to problems. The truth is, most casual riders are leery of riding a bike on a busy street separated by a line of white or green paint from the three-ton pickup whizzing by in the next lane. Yet that’s where the city likes to put bike lanes: on busy streets. Protected bike lanes, those in which bicycles are separated by physical barriers, like a line of parked cars or curb separators, are better. But a functional network of protected bike lanes big enough to substantially impact driving would take decades to build out and take many more millions of dollars in infrastructure spending. And yet, that seems to be the solution favored by most council and mayoral candidates. There is another solution and “it’s hiding in plain sight,” says Avi Stopper, a tech entrepreneur and bicycle advocate. Stopper is pushing a project called “Bike Streets.” It’s an expansion of the existing neighborhood bike routes and off-street bikeways like the Cherry Creek path. He has created an online map that has routes to take a cyclist almost anywhere in the city on residential streets that have little car traffic. It’s aimed at the 60 percent of would-be bike riders he estimates are interested in riding, but are still nervous about riding on busy streets, even in a protected lane. He’s raising money in a Kickstarter campaign to fund printing of hard copy maps of his safe “Bike Streets” network for distribution to bike shops, hotels, libraries and restaurants. To contribute, go to http://kck.st/2CEF6AT. To read more about Bike Streets, go to https://www.bikestreets.com. While the city hasn’t objected to Stopper’s project, it hasn’t given the effort any money, either, which is too bad. Instead, the city is putting money into more studies of protected bike lanes on busy streets like Broadway. Yet another examination of Broadway, including the feasibility of extending the existing six-block experimental lane (which few use because it doesn’t connect to anything), is under way. “The problem (as a solution to congestion) is there isn’t a comprehensive network and there won’t be for 20 or 30 years. The cost of a comprehensive network of protected bike lanes like on Broadway is astronomical,” Stopper argues. Stopper believes protected bike lanes are appropriate in some places, such as downtown, but aren’t necessary elsewhere. So why is the city taking that approach? Because the mayor and city councilors can show voters something concrete, even though it’s not having the intended result, which is to get people out of their cars. And that’s why we’ll still be wringing our hands over traffic four years from now, and eight years and 12 years. Contact Neil Westergaard at noweste@gmail.com.